ACSS/AW is a composite concentric-lay-stranded conductor. 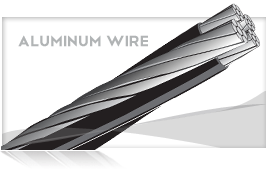 Aluminum-clad steel strands, either AW2 (normal strength) or AW3 (high strength), form the central core of the conductor with one or more layers of aluminum 1350-0 wire stranded around it. The aluminum-clad steel core carries most or all of the mechanical load of the conductor due to the “0” (fully annealed or soft) temper aluminum. 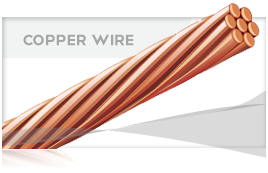 The steel core wires are protected from corrosion by an aluminum coating. ACSS/AW is used for overhead distribution and transmission lines. 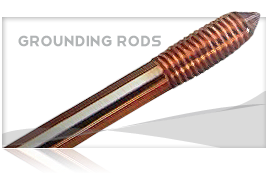 It is designed to operate continuously at elevated temperatures up to 250˚C without loss of strength; it sags less under emergency electrical loadings than ACSR/AW; it is self-damping if pre-stretched during installation; and its final sags are not affected by long term creep of applications requiring increased current with existing tensions and clearances, new line applications where structures can be economized because of reduced conductor sag, new line applications requiring high emergency loadings, and lines where aeolian vibration is a problem. ACSS/AW offers strength characteristics similar to ACSS, along with slightly greater ampacity and resistance to corrosion due to the aluminum-cladding of the steel core wires. +Data based on a nominal cable manufactured in accordance with ASTM B 856. +++Ampacity based on a 200°C conductor temperature, 25°C ambient temperature, 2ft/sec wind, in sun, with emissivity of 0.5 and a coefficient of solar absorption of 0.5 at sea level. ++++Rate strengths based on aluminum-clad steel core wire in accordance with ASTM B 502.